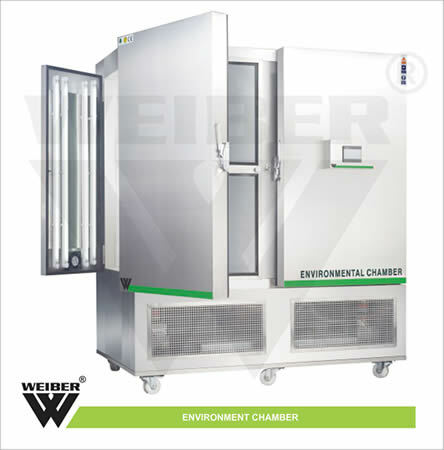 WEIBER environmental test chambers are conceptualized and designed study and contemplate the effects of different environmental parameters such as humidity, temperature and light in various applications tests involving micro-organisms, plants, tissues, electronic components etc. apart from various customized industrial and research applications. Our environmental chambers have a variety of usage in R & D laboratories, research studies and product testing facilities across the globe. Apart from that, these environmental test have a variety of usages in tissue culture applications, enzyme reaction studies, growth observation studies, fermentation analysis and various other general and specialized applications in various laboratories. 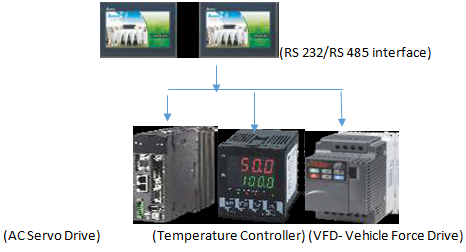 With the provision of walk in models bulk testing and testing of large sized equipments can be done. Several standard and customized models with capacities varying from 1800 Lt. to 20,000 Lt are easily available. We also provide the facility of adding customized features as per request. Self-calibration system- WEIBER incorporate a self-calibration system, in each chamber,that is completely automatic to prevent errors that could result from failure to calibrate. 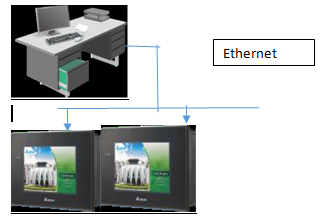 The system continuously monitors the environment, sensing changes that could affect analysis, and re-calibrates accordingly using a built-in long-life calibrator The process takes just a few seconds, without operator intervention or additional supplies, quickly optimizing system parameters for the current conditions. 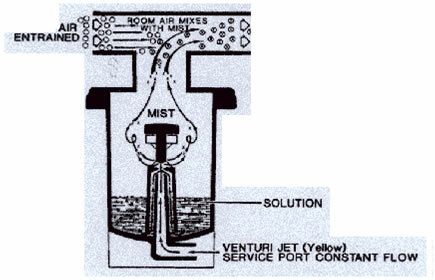 The principle of the test is to determine the effects of different environmental parameters such as humidity, temperature applications tests involving micro-organisms, plants, tissues, electronic components etc. apart from various customized industrial and research applications. 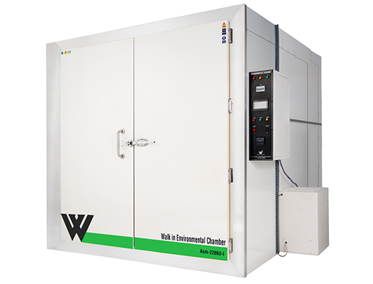 WEIBER environment test chambers are double walled convection heated and cooled units. Outer body of our environmental chambers are constructed out of thick PCRC, pre coated corrosion resistant GI sheet duly pre-treated with primers and rust proofing and painted with long lasting stove enamel or elegantly powder coated. The inner chamber is made of heavy gauge stainless steel sheet of SS-304 grade). The gap between the walls is filled high grade mineral glass wool, which ensures maximum thermal efficiency in our chambers. Temperature Range: Temperature range of our standard Chamber is -40°C to +90°C. . However we have the capacity to modify the same to suit the individual specialized requirements of our customers. 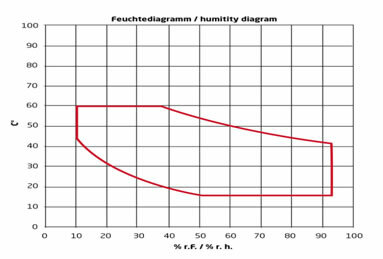 Temperature Sensitivity: Temperature inside our Temperature And Humidity Control test chambers are controlled with a sensitivity of + 1 o C or better. Port Hole:Port Holes with silicon enclosure is provided at back side of the chamber (50mm dia). Through the port hole you can input sensors, wires and other test equipment. Silicone foam plugs have excellent temperature and humidity resistance and offer very good thermal insulation Generally a single port hole is given but more numbers ca be increased according to customers request.